President Buhari has condemned the suicide bombing in Madinah, which occurred on Monday in Islam's second holiest city. Condoling with Saudi authorities over the reprehensible attack, President Buhari said the development was a desecration of all that was sacred and holy, as it took place near the Prophet's Mosque, and on one of the holy days of Ramadan. "The merchants of evil have once again shown that there is nothing religious in their mindless acts, by striking near the Prophet's Mosque. It validates the claim that terrorism really has nothing to do with Islam. 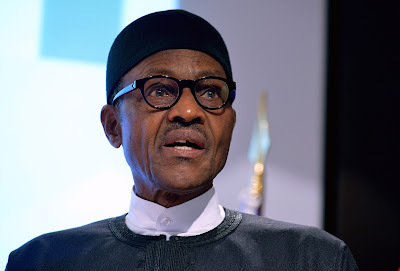 Purveyors of terror are simply agents of the devil," President Buhari said. The fact that the Madinah bombing came the same day as a suicide bomber struck near the US Consulate in Jeddah, also in Saudi Arabia, shows that it was an orchestrated plan to foul up the Eid-el-Fitr celebration, President Buhari asserted, and urges nations to remain vigilant, "so that we can collectively beat the forces of darkness on the prowl round the globe." President Buhari stresses that terrorism no longer respects international boundaries, and charges humanity to rise as one body "to excise this vermin from our body polity, and assert our liberty from those who pander to base and vicious instincts." "With our collective resolve, we shall beat terrorism. Around the world and around the clock, let us be alert. And we would remain free and safe." he said.